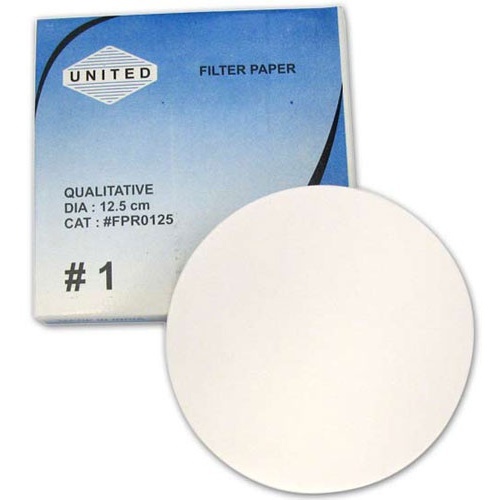 Our each is box of (100) round filter papers, 12.5cm (approx 4.92") dia x 0.15mm thick (#1 size). No lab? Think craft supplies, throw-away coasters, or little caps to keep the gnats out of your pina colada. 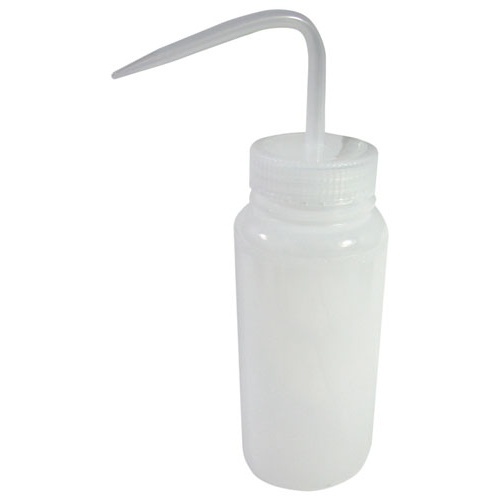 Inside the lab, it's a standard translucent-white, LDPE-plastic wash bottle, 500ml/16oz, measuring 2-3/4" dia x 6-3/4 tall with a screwcap and a right-angle, 5/16" dia nozzle. 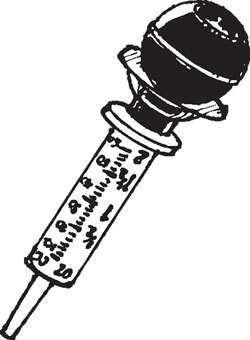 Outside the lab, it's so pleasing to squeeze and squirt with that some of us keep them in the kitchen. 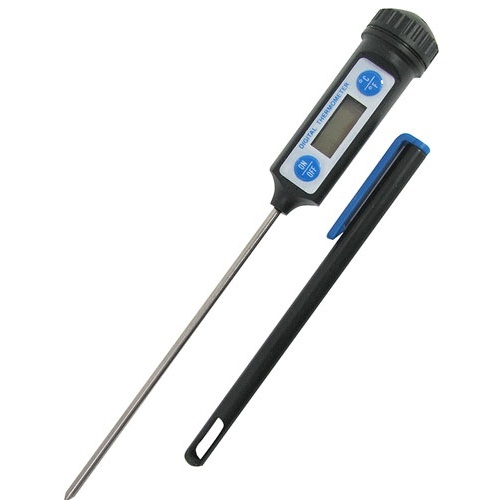 This digital instant-read lab thermometer measures 8-1/4" long total with a 5" long stainless-steel probe that's resistant to most chemicals. 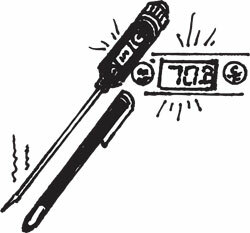 Has a removable cover with a pocket clip, on/off button, and C or F readings (-50 to +300C, -58 to +572F). Button-cell battery included. 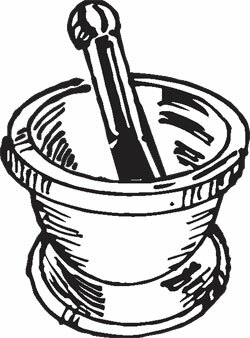 Stainless steel mortar and pestle set. 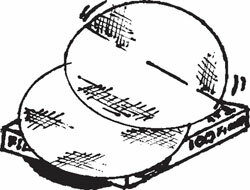 Mortar measures 5-1/4” dia x 3” on a 4” dia attached saucer-like base. 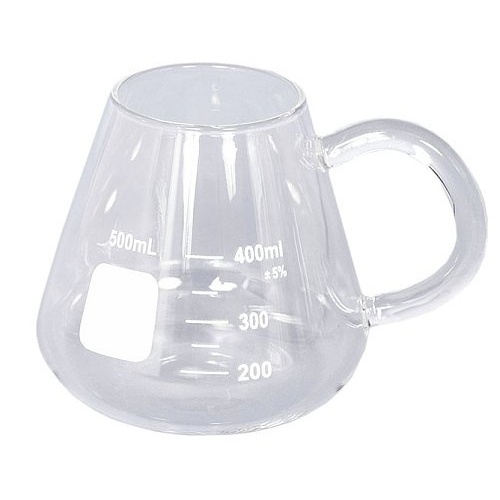 Holds approx 250ml. 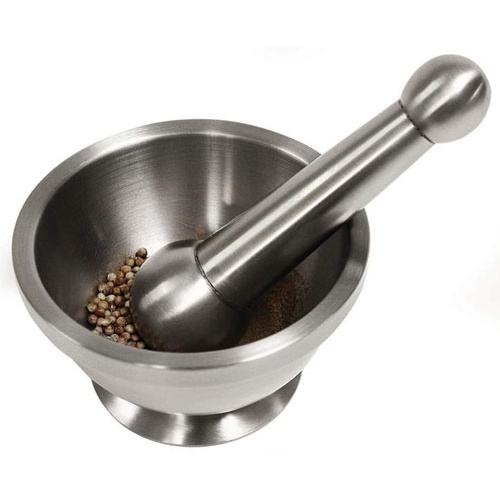 Pestle is 6-3/4” long with 1-1/4” and 2” dia heads. Nice for the lab, or for folks who want everything in their stainless steel kitchen to be stainless steel. You know who you are. And we salute you. Almost big enough to pick up mortals: 9-7/8" long, 1/2" at its widest, with a mouth that rests open at 1-3/16". 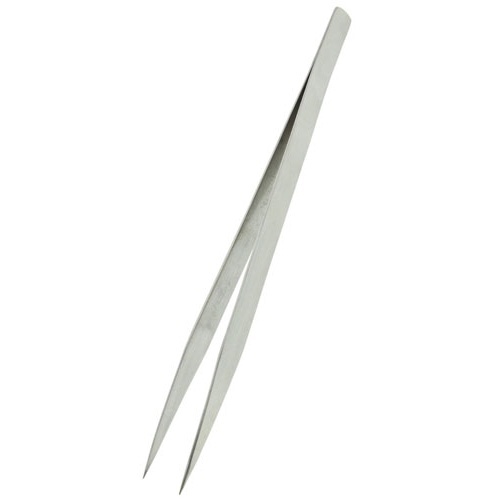 Stainless steel and non-magnetic, with a rounded serrated tip that's 5/32" wide. Good for giant splinters, crafts, jewelry, electronics, or sushi. We’ll say. Herr Erlenmeyer of flask fame was handled Richard August Carl Emil Erlenmeyer, but you can call him Emil. 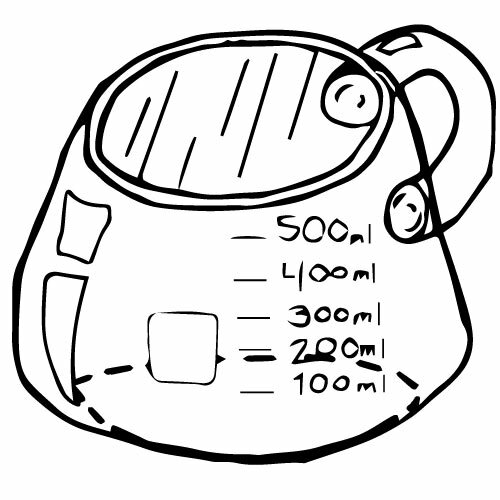 Our Borosilicate glass version of his flask holds 500ml, and is graduated from 200ml to 400ml in 50ml increments. Stands 3-3/4” tall with a 4-1/4” dia bottom narrowing to 2-1/2” at the top, which also makes it a hard-to-spill coffee cup. Puns-R-Us. 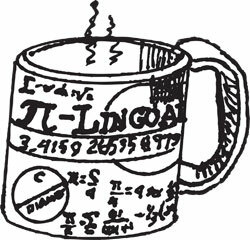 This white coffee mug has pi-Lingual printed on it, along with a bevy of geometric diagrams and equations, plus pi carried to 50 decimal places. Try not to use while eating a piece of pie, because there are some limits to what people will tolerate. Stethos is Greek for chest. 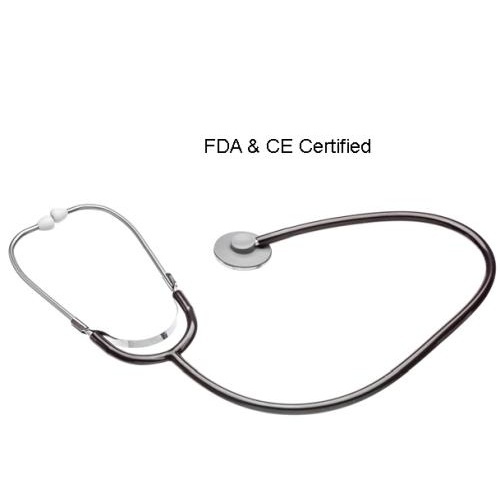 Indeed you can scope your stethos with this stethoscope, or your friend's or your dog's. But it works equally well for picking up any sound being transmitted through a solid medium. Listen to the air flowing through the heating ducts, the water in the pipes, the sounds of machinery, the termites munching on the floor joists!! The color does vary so we will select from what's currently available. We've had blue, teal, red, black, burgundy, green and purple, but there may be other colors yet to be seen! 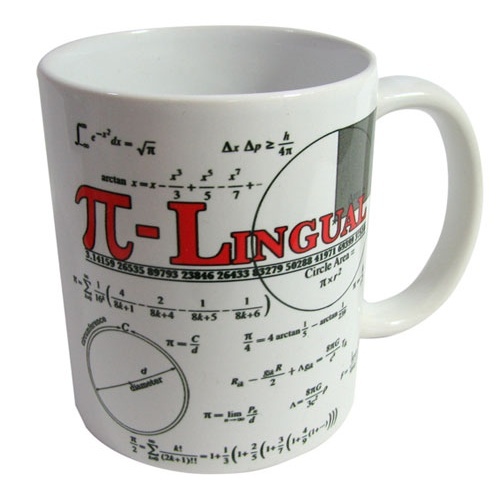 A great discovery device whether for biology or other pursuits. Not of professional quality, but not just a toy. Great for the lab or for those hobby projects that require a little measuring. 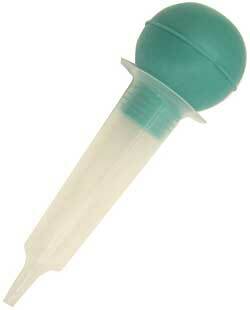 Our rubber-bulb syringe holds up to 50cc and is marked in 1cc increments. Has a 3/16" ID tip and measures 8-1/4" long with a 2-3/8" dia. bulb. Get creative and think outside the box. 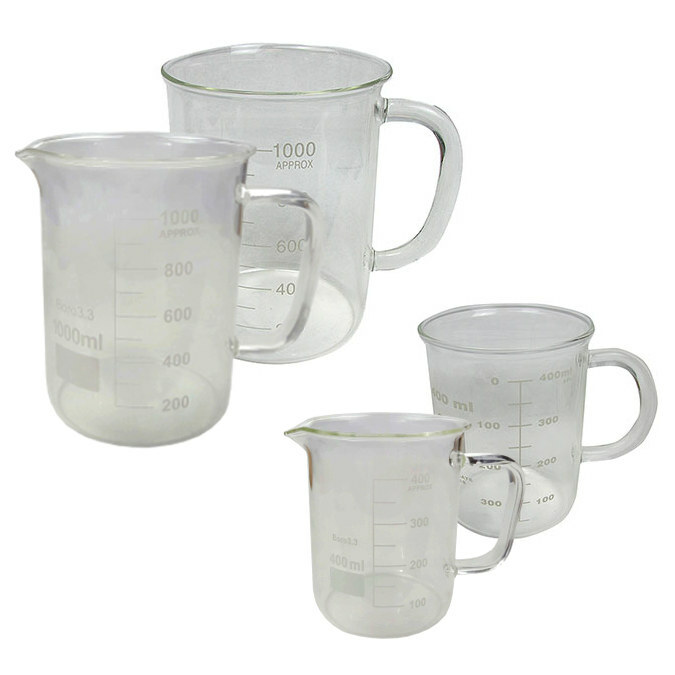 You'll get a package of (3), and they're safe for use with warm water. Agar, it's not just a crossword puzzle answer. It's the medium of choice for growing bacteria, molds, etc., and just what you need if you're shopping for laboratory staples or for your next science-fair project. 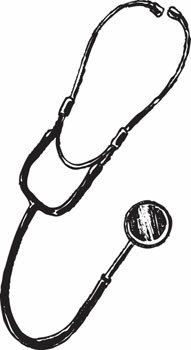 Melt the medium in a microwave, pour into a Petri dish, and allow to set before applying test material. 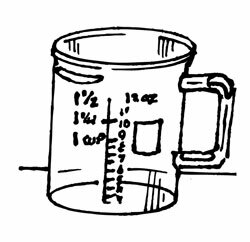 Do not freeze, and after exposure or melting, store at the temperature on the label. Does approx. 10-12 petri dishes.